Today we begin a new short story, with art by the great Josh Burnett! 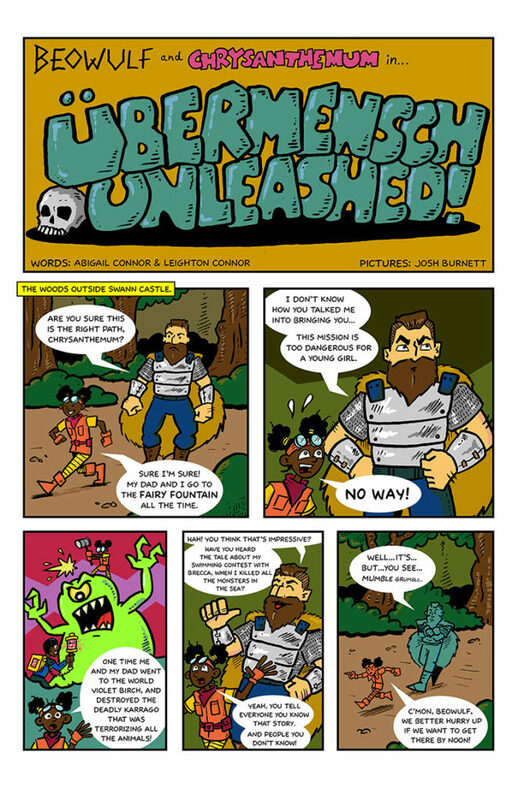 Page 2 of “Ubermensch Unleashed,” written by Abigail Connor & Leighton Connor, and drawn by Josh Burnett. 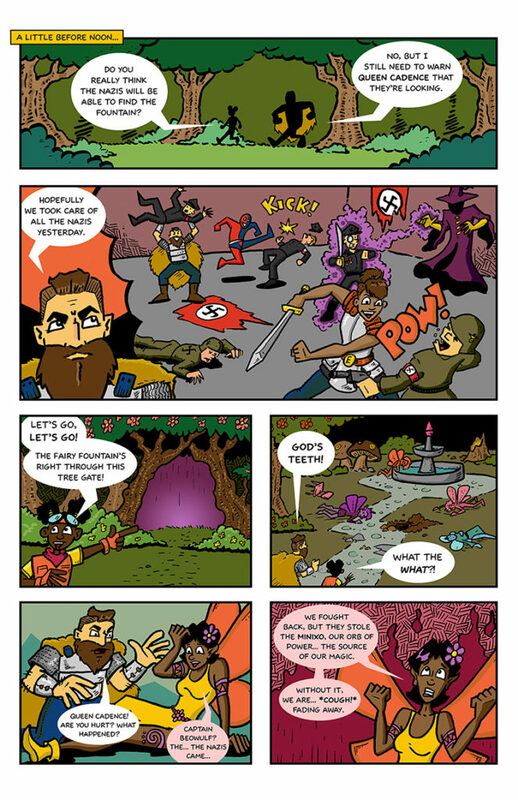 Page 3 of “Ubermensch Unleashed,” written by Abigail Connor & Leighton Connor, and drawn by Josh Burnett. 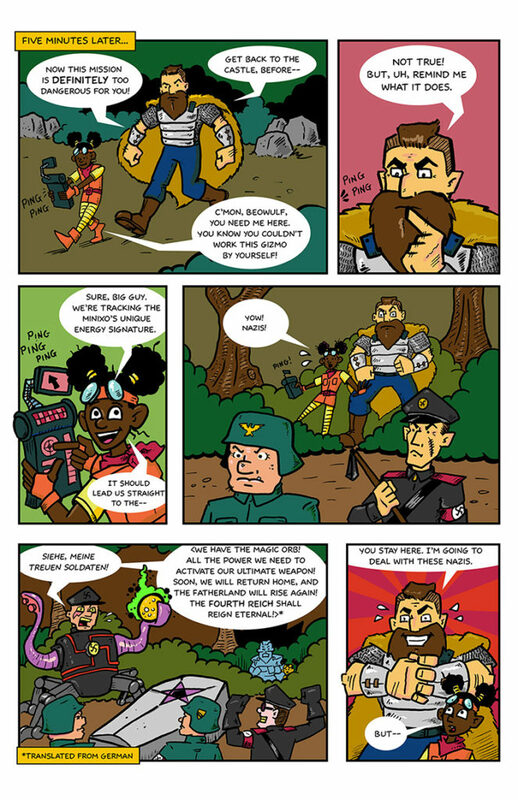 Page 4 of “Ubermensch Unleashed,” written by Abigail Connor & Leighton Connor, and drawn by Josh Burnett. 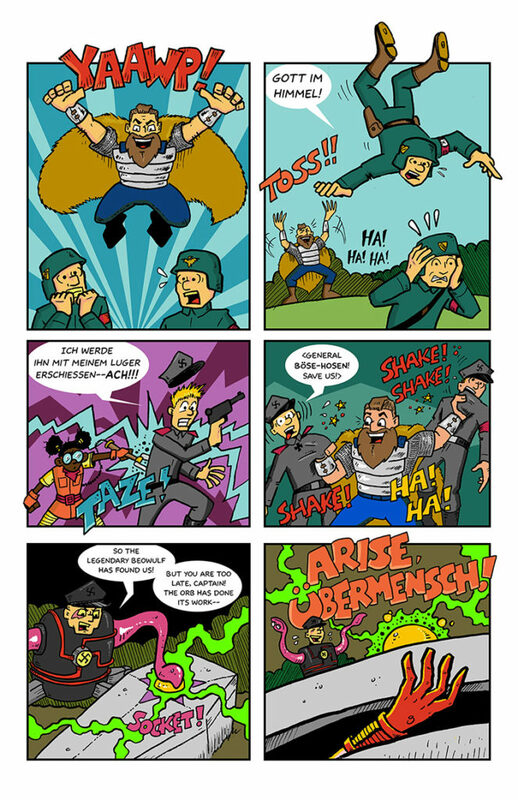 Page 5 of “Ubermensch Unleashed,” written by Abigail Connor & Leighton Connor, and drawn by Josh Burnett. Page 7 of “Ubermensch Unleashed,” written by Abigail Connor & Leighton Connor, and drawn by Josh Burnett. 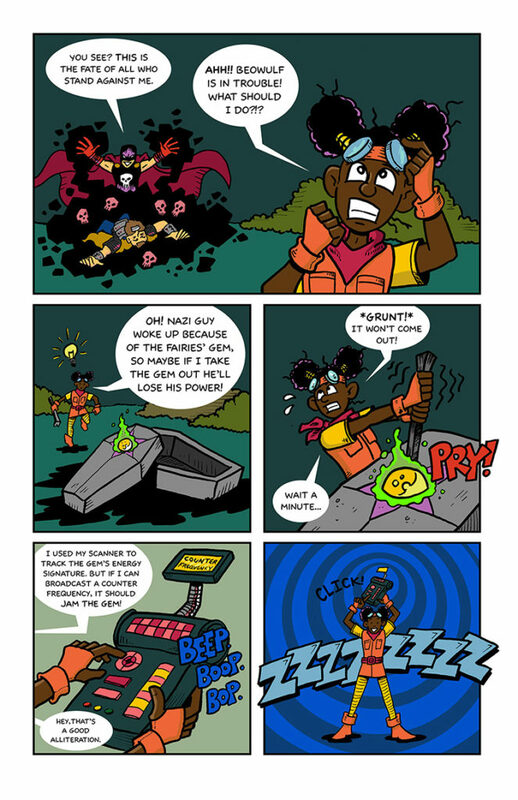 The Electric Team is a fantasy adventure comic for readers of all ages, with new installments every Tuesday. The Electric Team is brought to you by Leighton Connor, Abigail Connor, and Samantha Albert.